Wisteria flower in spring and the majority of pruning should occur in August . The long trailing shoots should have been cut back to 15cm (6in). In December , the shoots should be be further cut back to two healthy buds from the main stem. If mid August pruning was forgotten, prune to two buds now. Examine the support or trellis very carefully at this time of year. Wisterias are very vigorous and frames which were sufficient last year may be damaged by winds in the winter. 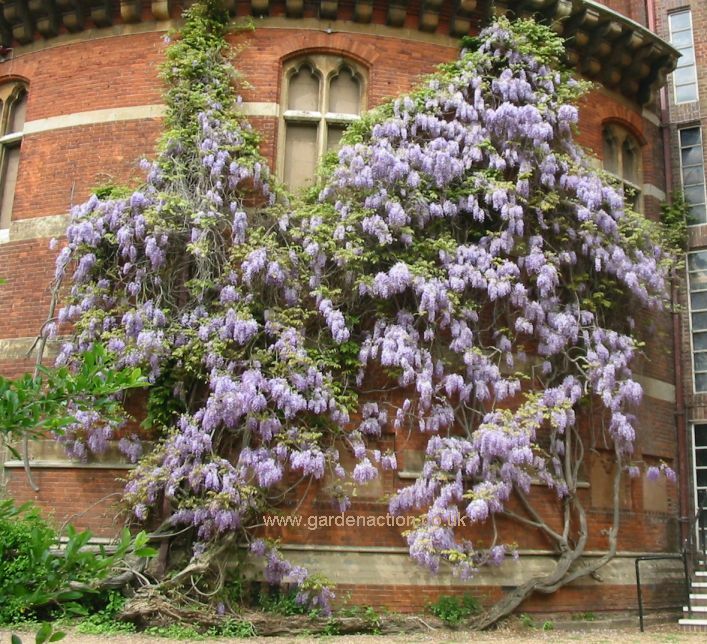 Click here for the biggest and most spectacular wisteria I have ever seen! 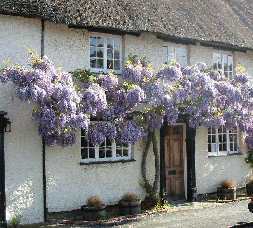 Taken in Stratford-on-Avon in May 2006, this is a truly spectacular wisteria.